The Galápagos Islands are a collection of about 80 volcanic cones and rocky islets that straddle the equator 600 miles west of the Ecuador mainland. You'll visit the far reaches of this archipelago for the best of the wildlife viewing. The Integrity sails weekly on two alternating routes. 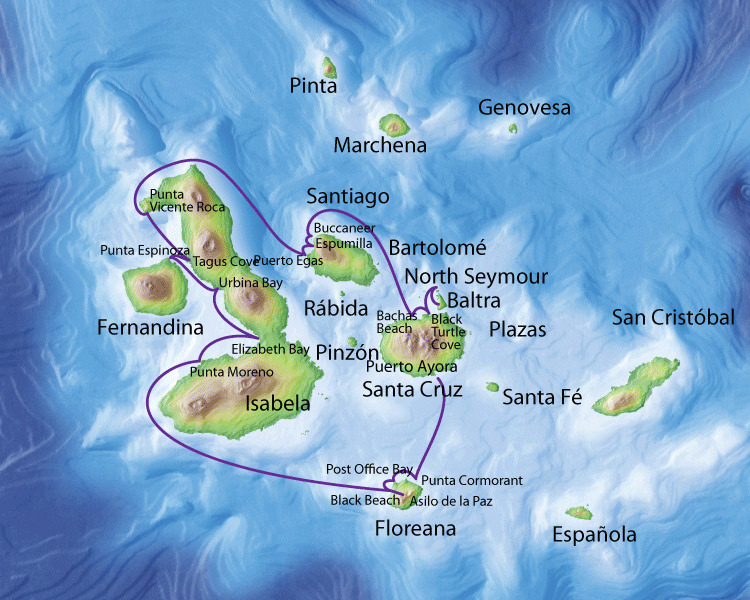 The Galápagos National Park Service carefully controls visits to each of the islands. To ensure their pristine condition, sites may not be visited more than once in a two week period. Each route has been carefully planned to include the best landing sites for wildlife viewing and activities.